Today we’re going to create a splash screen for your Android app. A splash screen is usually an image or a view that appears to the user while the app is loading, it is also a way to make your brand or logo easier to be recognize by the user. Some android apps that uses splash screens include Facebook, Pocket and of course, the game apps. I’m going to show you two ways to create android splash screens. Example logo to be seen in our splash screen. Highlighted are the files we have to create. 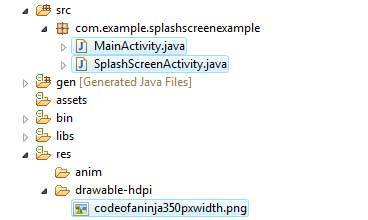 SplashScreenActivity.java – The initial activity executed. This activity will end with an animation that depends on the device. // Schedule a task for single execution after a specified delay. MainActivity.java – Our app’s main screen, where the main functions of your app should be seen. 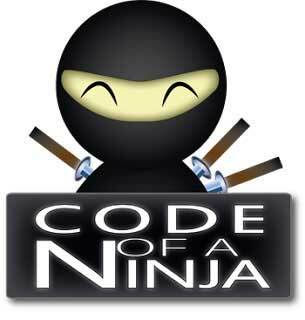 codeofaninja350pxwidth.png – An example image used in the splash screen. This is included in the code download. We’ll work on three files in this example. 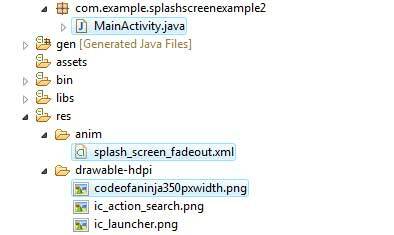 MainActivitity.java – The file with double purpose, it will show our splash screen and then main screen. splash_screen_fadeout.xml – It will make our splash screen gone beautifully – a simple fade-out animation. 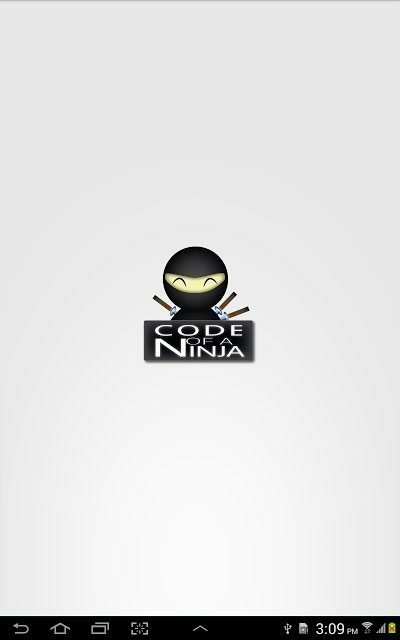 codeofaninja350pxwidth.png – our example logo. Thanks for reading this Ways to Create a Splash Screen for Android App!